World Challenge Match Champion 1927-1929. 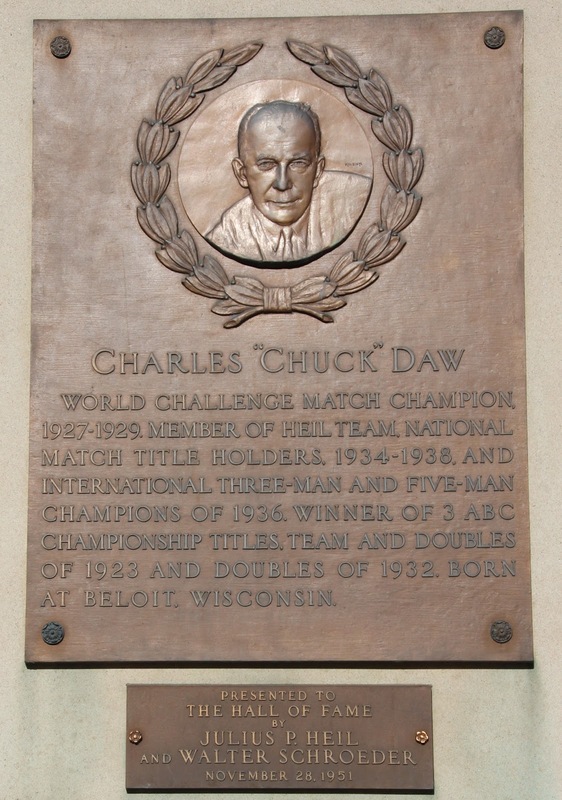 Member of Heil Team, National Match Title holders, 1934-1938, and International Three-Man and Five-Man Champions of 1936. Winner of 3 ABO Championship Titles, team and doubles of 1923 and doubles of 1932. Born at Beloit, Wisconsin.